No time to visit a store? No worries! Apply for a payday loan online and get up to $1500 deposited directly in your bank account! No time to visit a store? No worries! Apply for a payday loan online and have your funds deposited directly in your bank account! Fill out our quick and easy payday loan online application and FastTrack Your Cash! A customer service representative will contact you with your approval status. Approvals are quick & easy! Receive your funds directly in your bank account or pick it up at one of our convenient locations! To apply for a payday loan online, just complete our simple FastTrack Your Cash online application form. Approvals are fast, easy and available 24 hours a day, 7 days a week. Once approved, you can choose to receive your cash advance directly into your bank account or pick it up at one of our GTA locations. What are you waiting for! 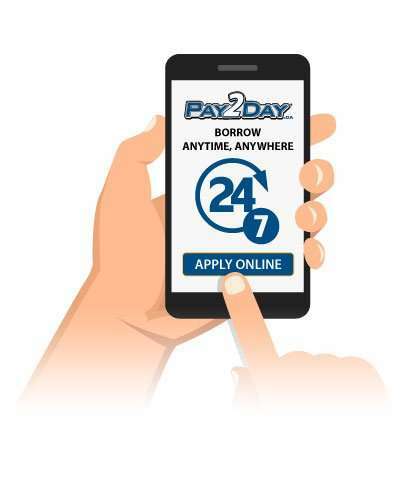 Getting a payday loan at PAY2DAY is quick and easy!